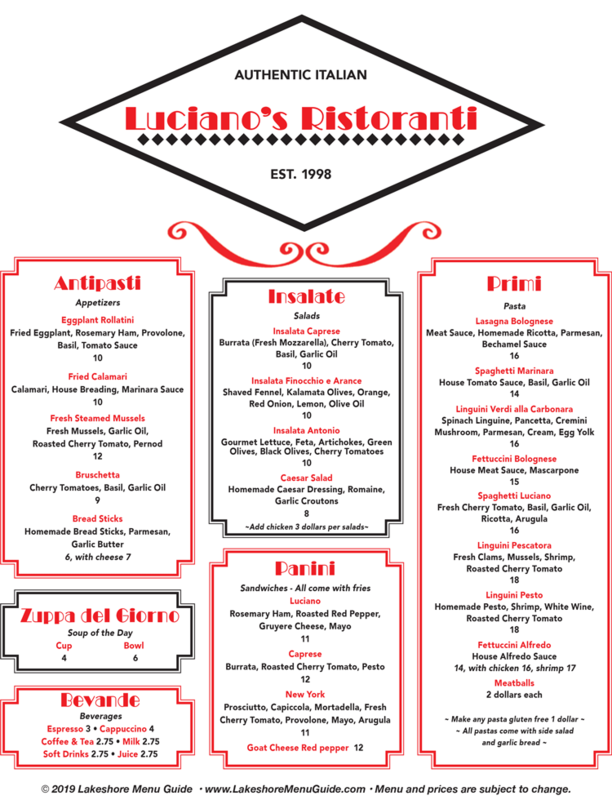 The exceptional taste of Italy is at Luciano's. Classic Italian dishes: Veal Luciano, Chicken Picata, Beef Tenderloin, Shrimp Scampi. 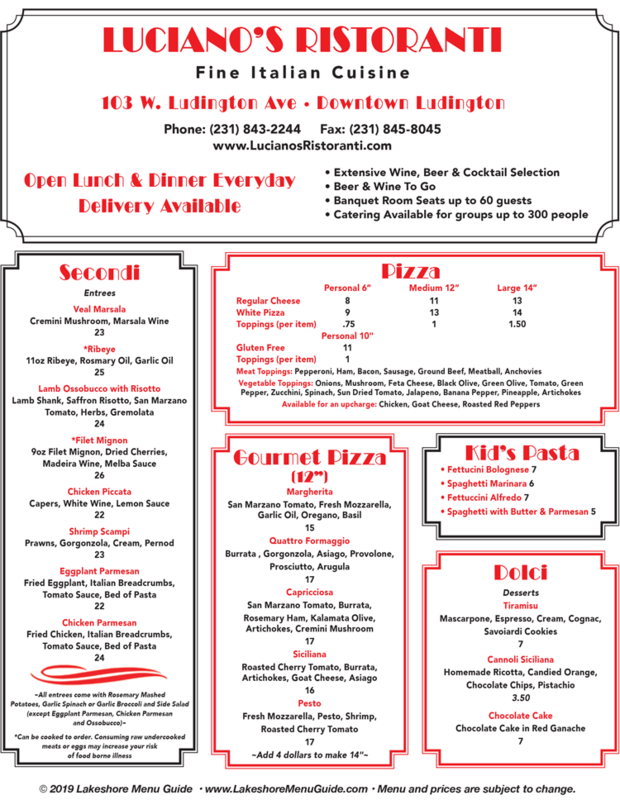 We offer sandwiches, fish, chicken, steaks...and gluten-free pasta and pizza. Enjoy lunch or dinner in our restaurant, take your meal out, or we deliver. Daily dinner specials. Cocktails.